Our fiercest tactical boot, the Acquisition is the perfect fusion of light, fast, and durable. It dries quickly, breathes well, and the protective upper stands up to the toughest conditions. 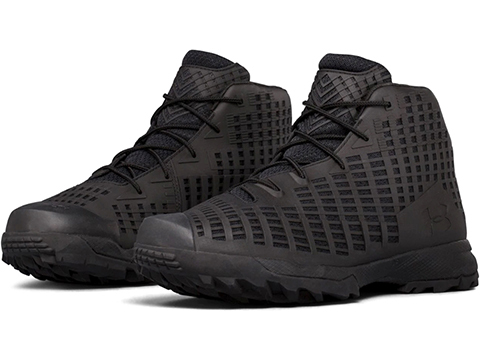 Discuss about Under Armour Men's UA Acquisition Boot (Color: Black / Size 10) with your friends and fellow Evike.com shoppers!